Avilés Street in St. Augustine. The crumbling building at 9 Avilés Street in Old St. Augustine is coming down. The city issued the required demolition permits Monday. The owner of the building had planned to remove the roof but further inspection found the building was beyond saving. He has 10 days from Monday, July 28 to get rid of the building. All the work will take place between 7 a.m. and 5 p.m.
Avilés Street has been closed to vehicles since the Fourth of July holiday. City officials said businesses along that stretch of road will remain open and people can still come and shop despite the demolition work. Contact reporter Cyd Hoskinson at choskinson@wjct.org, 904-358-6351 and on Twitter @cydwjctnews. 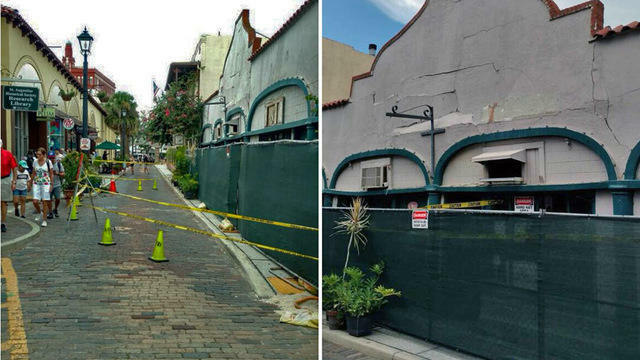 Avilés Street in St. Augustine's historic district is open for pedestrian traffic only until further notice because of concerns about an unstable building, the city's police department announced Wednesday. 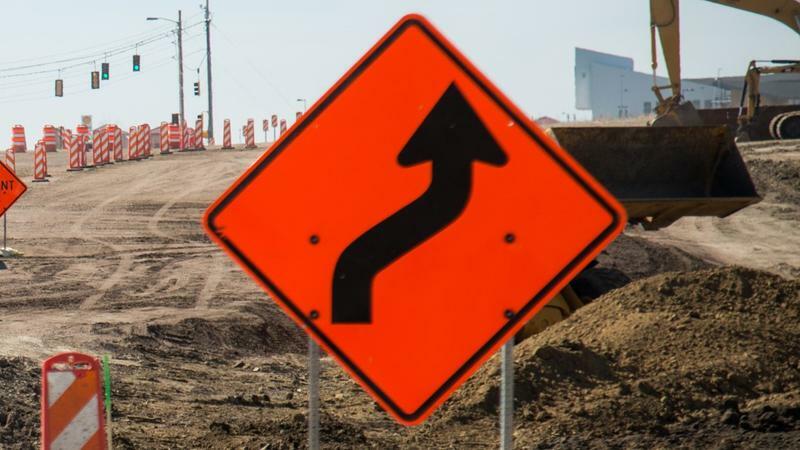 The City of St. Augustine has scheduled paving projects in neighborhoods adjacent to San Marco Ave. in the North City area, north of May St., starting on July 16 and continuing through August 3.